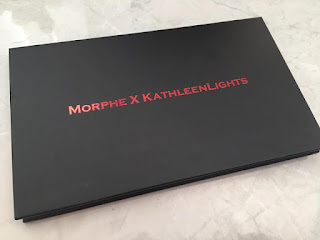 If you don't know who Kathleen Lights is stop what you are doing right now and follow this link and watch some of her videos. She is a lovely talented Beauty Influencer who does great YouTube videos including makeup tutorials and product reviews. 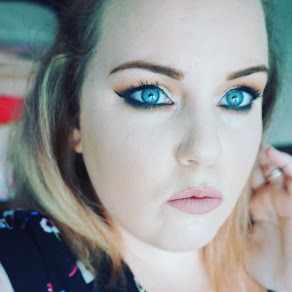 I have bought her collaborations in the past with Colourpop and was really impressed! so was excited to hear she was releasing a palette with one of my favourite brands Morphe. This palette is just stunning! As with other Morphe shadows these are so all easy to work with and highly pigmented. I love that it contains a cream coloured base shadow, a black shadow and a highlight shadow, as well as a range of colours to create looks like can take you from daytime to nighttime glam. 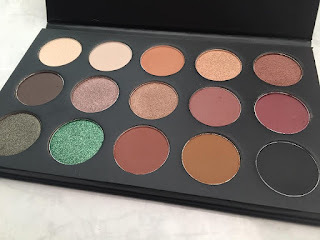 The range of shadows makes the palette so versatile and when combined with the quality makes this affordable palette far better than some of its higher end counterparts I have tried recently. Below you will see swatches of all the shadows included. All are with one swipe and with no primer used. The packaging of this palette is different from all other Morphe eyeshadow palettes and I love the change! Firstly, it is far smaller which makes it far easier to store and travel with. Also, instead of the usual plastic packaging which was quite hard to open and close this magnetic, cardboard packing is much easier to work with. I can not reccomend this palette enough. 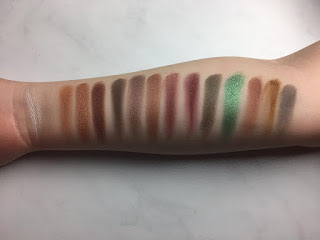 Here is a Makeup tutorial from Kathleen using this palette. This Palette was Limited edition but Kathleen assures us it will be restocked once more. Keep an eye on my social media and I will keep you updated on Restock.